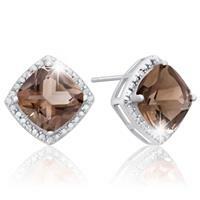 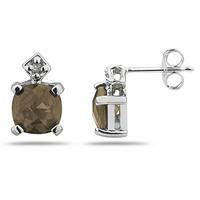 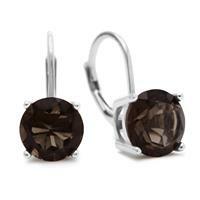 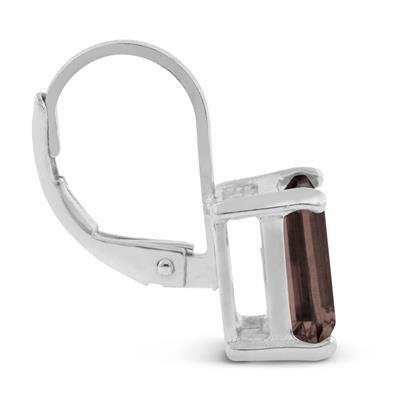 These smokey quartz earrings feature 2 9x7mm emerald shape smokey quartz gemstones weighing 4 1/4 carat total weigh. 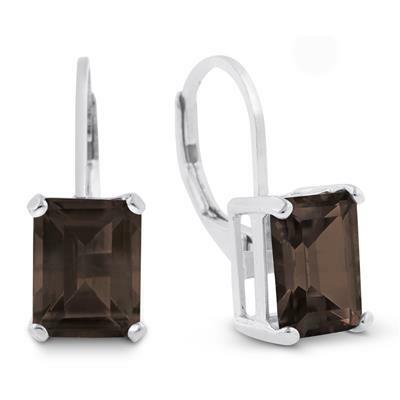 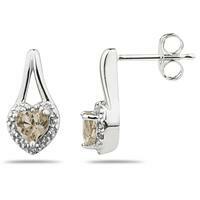 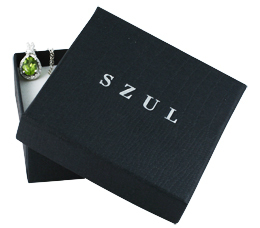 These earrings are crafted in .925 sterling silver and secure with comfortable leverbacks. 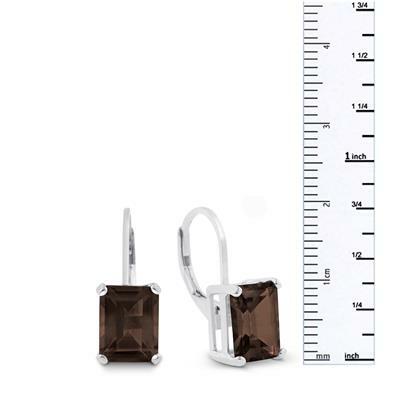 Earrings dangle down about 1/2 inch.